Motorcycles – retired Navy – fuel exposures. Sonja Skinner says those are three items she added to her profile on VA DoD Veteran Link, a new social networking app just for Veterans and current service members. The app creates a secure, closed community where users can connect and feel comfortable talking about common interests and life circumstances – including any health concerns they may have. 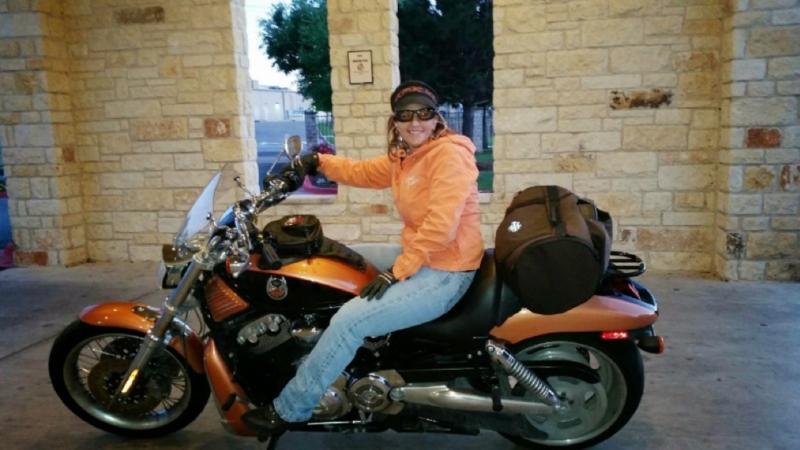 After retiring from the Navy in 2005, Skinner began her second career at VA. Today, she works at the Olin E. Teague Veterans’ Medical Center in Temple, Texas, as a My HealtheVet Coordinator, a VA Online Scheduling Manager and a Virtual Lifetime Electronic Record (VLER) Representative. She’s busy, but not too busy to help test new VA technologies and apps. She tested VA DoD Veteran Link this past spring. Those who engage in the Veteran Link community start by creating a secure profile and sharing as much or as little personal information as they want. The profile then lets users search for other Veterans and service members with similar self-reported diagnoses, military backgrounds or interests. The benefit of “shared experiences” is exactly the reason why Dr. John Hixson, a neurologist at the San Francisco VA Medical Center, says he pursued the development of VA DoD Veteran Link.